The selected universities that have been granted ‘autonomy’ are effectively being forced to turn to self-financing and to privatise, which will make quality higher education prohibitively expensive in the country and make it inaccessible to the people. The ‘autonomy’ granted to 52 universities and eight colleges — announced by the Modi government on 20 March — is the opposite of freedom for the millions of students aspiring towards higher education, in a country where barely a fourth of the college-aged population goes to college. Taken without context, the term ‘autonomy’ is generally associated with positive, progressive, even empowering connotations — with meanings ranging from freedom to self-government. But in this case, autonomy primarily means ‘self-financing’ — the institutions being required to raise the money they need on their own, mainly through charging exorbitant fees to students and through private partnerships. Meanwhile, the government regulations and checks on quality would be curtailed, so that colleges can make the most of this ‘autonomy’. One look at what this ‘autonomy’ for universities entails — autonomy from whom, for what purposes, and under what circumstances/conditions — makes it clear that it is nothing but a push to privatise and commercialise higher education in an unprecedented manner. The agenda is to make higher education profit-oriented and unaffordable to the public, while the government withdraws from its responsibilities to the country’s youth. ‘Abandonment’ is a more suitable term here than ‘autonomy’. There are five central universities, 21 state universities, 24 deemed universities and two private universities that have been given this ‘autonomy’ — “which have maintained high academic standards”. They include some of the highest-quality (and low-cost) public universities, such as Jawaharlal Nehru University, University of Hyderabad, Jadavpur University, Aligarh Muslim University, Osmania University, Savitribai Phule Pune University, and Banaras Hindu University, among others. The full list can be seen here. This is part of the ‘graded autonomy’ scheme pushed by the Ministry of Human Resource Development. As per the scheme, institutions that perform better on the NAAC (National Assessment and Accreditation Council) score — universities classified under Category I and Category II — will get progressively higher ‘financial’ and ‘administrative’ autonomy. On 12 February 2018, the MHRD had issued a gazette notification, titled the University Grants Commission [Categorisation of Universities (Only) for Grant of Graded Autonomy] Regulations, 2018. The autonomy clause was also part of the draft National Education Policy of the ruling government, which the NDA was forced to withdraw after facing opposition in the Rajya Sabha. According to the UGC regulations, these universities will no longer need UGC’s permission to start a new courses, programmes, departments, schools, centres — as long as they do not ask for funds from the government. They must do it in self-financing mode. This will not only lead to a steep increase in student fees, but will propel the universities and colleges to start commercial courses, solely for the sake of financing. Universities are free to open off-campus centres without inspection or interference from the government — as long as they are able to “arrange both recurring and non-recurring revenue sources and does not need any assistance for the same from the UGC or the Government”. Category-I universities are can open “research parks, incubation centres, university society linkage centres — either in self-financing mode or in partnership with private partners — without approval of the government. Since building this kind of infrastructure is prohibitively costly, universities will be forced to turn to Public-Private Partnership (PPP). Universities are also, effectively, being asked to introduce up to 20% reservation for foreign faculty “over above their sanctioned strength on tenure/contract basis” as well as 20% reservation for foreign students “over and above the strength of their domestic students” — again, all of this in self-financing mode. As for foreign students, universities will be free to fix and charge any fees they please without restrictions. Teachers of public universities have vehemently opposed this ‘autonomy’, pointing out that this is a major move to turn education into a commodity that is tradable in the market. The Federation of Central Universities Teachers’ Associations (FEDCUTA) said the government was forcing universities to “the task of doing trade in higher education”. Speaking of the experience of the few existing autonomous colleges, the Federation said, their experience of self-financing/mobilisation of revenue resources had caused rapid increase in fees and student intake without proportionate increase in number of teachers, non-teaching staff and infrastructural facilities. The Jawaharlal Nehru University Teachers’ Association also issued a statement condemning the move, demanding that the MHRD notification of 12 February 2018 be debated in Parliament, since it is not a legislation passed by Parliament and is open to contestation. The association pointed that ‘self-financing’ is a “codeword for commercialization and blatant privatization of public education with differential fee structures, compromising the questions of equity and access”. Along with other measures and policy changes that the government has introduced or is trying to introduce, soon higher education will go entirely out of the financial access of the public — except for the minority of the population that would be able to afford it, or those willing to take loans. 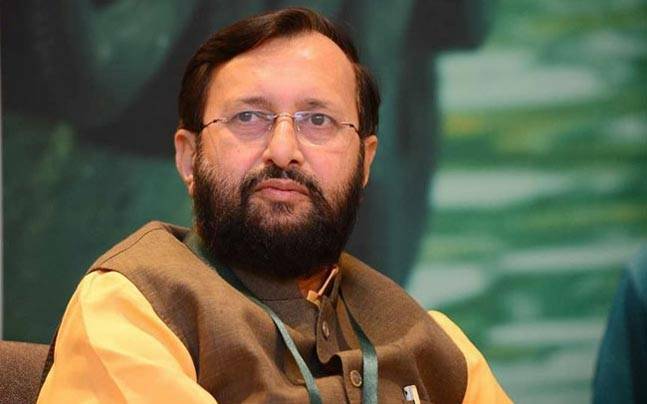 These policy changes include the draft UGC regulation announcing a new funding formula of 70:30, whereby central universities are being asked by the MHRD to generate at least 30% of the funding, which will lead to a steep rise in the fees of students. Then there is the Higher Education Financing Agency (HEFA). Any central institution of higher education which needs money for infrastructure will need to borrow from HEFA, which will raise money from the market. The borrowing institution will need to pay back the principal amount of the loan in a time-bound manner, and in order to pay back, it will need to increase its revenues — basically extravagant increases in fees charged from students. Instead of treating education as a ‘right’ of citizens and as an indispensable instrument for the development of the country, the government is giving into the neoliberal diktats of international financial institutions like the World Trade Organisation (WTO), which treat education as a ‘commodity’ to be bought and sold in the market. And a ‘commodity’ like education — given that education is a gateway to upward social and economic mobility for citizens — would be much sought after, offering unimaginable potential for profiteering in a ‘developing’ country like India.